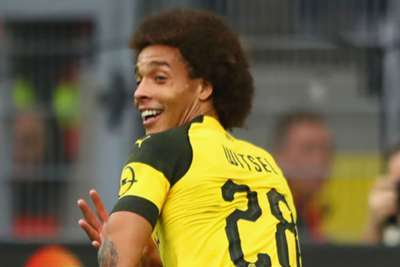 Belgium head coach Roberto Martinez has described Borussia Dortmund's capture of Axel Witsel as the signing of the season. The 29-year-old joined the Bundesliga side in August for a reported £18million after a spell with Chinese Super League outfit Tianjin Quanjian. He has made 10 appearances in all competitions, playing an important role in Dortmund's rise to the Bundesliga summit. And Martinez believes it is the Belgian international's relatively low transfer fee that makes him the standout purchase of the transfer window. "The best transfer in the world this season is Axel Witsel to Borussia Dortmund," he told Sport Bild. "He is the best investment in European football. What he brings to the team for a relatively small transfer fee of €20million makes him the best signing of this transfer period.